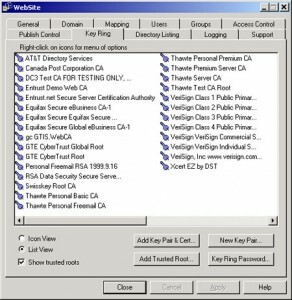 A CSR is a file containing your certificate application information, including your Public Key. Generate your CSR and then copy and paste the CSR file into the web form in the enrollment process. Open “Website Server Properties” and select “Key Ring”. 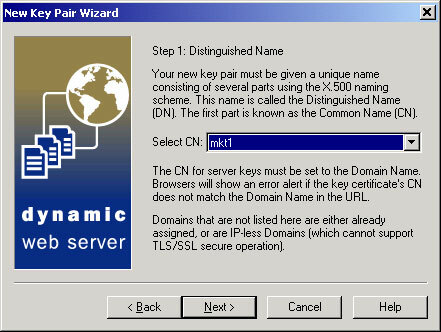 Select “New Key Pair” and follow the wizard. 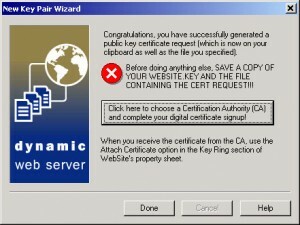 When you have completed the wizard select “Done”, do not select the box to choose a Certification Authority. When enrolling for a Certificate locate the CSR file and copy/paste the Certificate Request text into the CSR box. Complete the online enrollment process.